Motivate your visitors to become loyal customers with the best Woocommerce Rewards Plugin! Rewarding your customers based on their purchase is one of the best ways to encourage them to back to your site. In today collection, we will introduce you top of the best Woocommerce Rewards plugin in order to provide you with an effective way to manage rewards points system easily! Furthermore, you can refer to these Free WooCommerce themes to create a wonderful WooCommerce website. An awesome Woocommerce Rewards plugin which is a flexible point management system, it allows you to have a wide range of point for your Woocommerce site. With this plugin, you can get many benefits, which are storing reward systems, monetize website content, community leaderboards, and more! Get more traffic and followers through social channels. Beans Loyalty and Reward is one of the best Woocommerce reward points free plugin that helps you encourage your old customers to back and make the purchase again by offering you great ways to reward and manage it. Create attractive promotions in limit time. Mailchimp, Shopify Product Review, Juge.me, ,…and more integrations supported. This is a Woocommerce Loyalty Rewards Plugin that makes it possible to create customers’ loyalty and get more profit thanks to Thank You custom page. This plugin allows you to access powerful components to reward customers and increase sale without requiring coding skill. This plugin was developed with a powerful Reward System to help you manage reward points and customers’ points easily. With this Woocommerce Rewards plugin support, your customers will find it easy to get discount or reward after making a purchase on your site. Set the number of Points will be enough for customers to get a coupon/ gift. With this Woocommerce Rewards plugin, you can reward your customers points base on kind of product they buy or base on the total price of the cart they spend. Able to see points of customers. Compatible with Phoeniixx plugin’s ticket system. Wordpoint offers you many amazing ways to reward your customers whenever your site holds an event. This plugin has a Ranks component which has the feature to rank customers based on the number of points they gain. Points transactions can be supervised by admin. 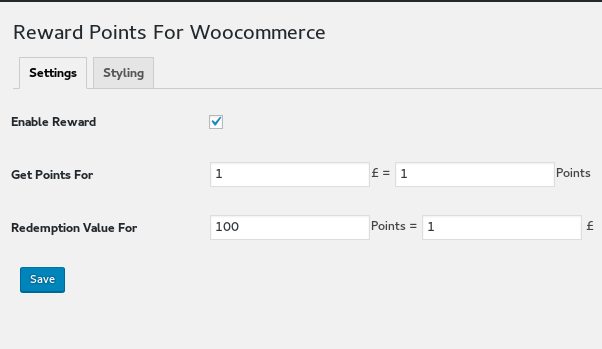 Woocommerce Points and Reward plugin is to help your customer easier to get points after making the purchase in your store. You’re also able to supervise points that your customers have collected from the backend. View information of users and points. That’s all of our collection today! We hope that you can find the best Woocommerce Rewards Plugin for your site through this collection. Please feel free to share with your friends if you find it helpful!